British director Jon Wright and producer Piers Tempest have invested wisely in rehearsal time with the core foursome of young leads who hold their own against veterans Gillian Anderson and Ben Kingsley. 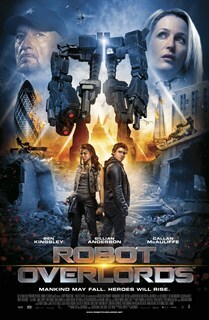 Following an alien invasion, Earth’s inhabitants are forbidden from leaving their homes while their new Robot Overlords carry out their mysterious research. But when a band of adoptive siblings find a way to override their implants, a quest begins to find a missing father, even if it means defying an empire.